The plants have been acquired by Green Arrow Capital S.p.A., assisted by the law firm Gianni, Origoni, Grippo, Cappelli & Partners, with a team lead by partner Raffaele Tronci and made up by counsel Angelo Crisafulli and associates Niccolò Antongiulio Romano and Michela Maresca. The regulatory and administrative aspects of the acquisition have been followed for Green Arrow by Andrea Sticchi Damiani. The law firm has also assisted Orizzonte Solare in the concurrent reimbursement of the project finance granted by two different pools of banks to the owner of the plants, i.e. Brindisi Solare S.r.l. and Raggio di Puglia S.r.l. The acquisition was made on behalf of Radiant Fund, a Luxembourg platform of which Green Arrow Capital is General Partner, through Renewable European Investment 4 – REI IV S.r.l., a vehicle dedicated to renewable energy infrastructures. The companies were advised by a team led by partner Rino Caiazzo and including counsel Daniele Pilla, associate Enrico Di Tomaso and trainee Cecilia Solato. Giulio Tognazzi (in the picture), partner of Caiazzo Donnini Pappalardo & Associati, has assisted the European Investment Bank (EIB) in relation to a facility granted to Avio S.p.A., an Italian listed company, leader in the aerospace sector. Such loan is addition to a previous loan granted in 2017 and it is aimed at further supporting the development plan of new technologies in the field of space propulsion system functional to the offer of new products for the programmes Ariane 6 and Vega C and the expansion of the industrial capacity of the Colleferro site necessary to meet the Company’s production volumes targets for the coming years. The loan is part of a joint initiative of EIB, the Ministry for Economic Development and the Ministry of Economy in support of investments in innovation (italian risk sharing initiative), aimed at financing projects in research, development and innovation. Responsible for the legal aspects for Avio S.p.A. have been: the Genaral Counsel, Avv. Giorgio Martellino and Avv. Letizia Macrì. With decisions of 20 December 2018, the Italian Competition Authority (“AGCM”) sanctioned some companies of Enel group and Acea group for abusive conducts in the local markets of retail sale of electricity. The conducts which were sanctioned concern the unlawful exploitation of entitlements and information for the purpose of gradually transferring the group customers currently served under the regulated regime (servizio di maggior tutela) to the liberalized market. On the same date, AGCM dropped a similar accusation and closed an investigation against A2A group. CDP Studio Legale, with the partner Rino Caiazzo and the associate Enrico Di Tomaso, represented and assisted some energy companies which intervened in the proceedings to support the AGCM investigation. Giulio Tognazzi (in the picture), partner of Caiazzo Donnini Pappalardo & Associati, has assisted the European investments bank (EIB) in relation to a financing of Euro 40,000,000.00 to Florim Ceramiche S.p.A., worldwide leader in the production of porcelain surfaces. The financing falls within a combined initiative among EIB, the Ministry of Economic Development and the Ministry of Economy and Finance, in order to sustain investments in the innovation (Italian risk sharing initiative), intended to finance research, development and innovation projects. formed by BNL SpA Group BNP Paribas (which acted also as mandated lead arranger, coordinator and agent bank), Intesa San Paolo (which, through its controlled Company Banca IMI S.p.A, acted also as mandated lead arranger and coordinator), UBI BANCA (which acted also as mandated lead arranger), Banco BPM, Mediobanca – Banca di Credito Finanziario, Creval SpA e Banca Passadore & C.
Our home town Rome is often referred to as a cradle of Western civilization due to the very important role it played in politics, sciences, philosophy, architecture, art and, last but not least, law. An important figure representing this cradle during the 1st century B.C. was the Roman lawyer, statesman, orator, writer, and philosopher Marcus Tullius Cicero. On the occasion of the IBA Annual Conference – Rome 2018 the Partners of Caiazzo Donnini Pappalardo & Associati had the pleasure of welcoming colleagues from all over the world for a guided tour at the Forum Romanum that was organized in honor of the legal profession and which followed the footsteps of one of the greatest lawyers of all times: Marcus Tullius Cicero. Sandrina Bokhorst and Raphael Hunsucker of Persoonlijk Rome, being graduates in classical and societal history and Latin language and culture, illustrated the legal profession in Roman times, using as a basis Cicero’s fascinating career, and bringing us to locations at the Forum Romanum that were crucial for the Roman administration of justice. gave a speech about “The regulatory intervention on Big Data, between competitive dynamics and informative pluralism”. Caiazzo, Donnini e Pappalardo with PwC TLS Avvocati e Commercialisti and Studio SLVB for the Gamenet-Goldbet closing. Caiazzo Donnini Pappalardo with a team composed of partner Roberto Donnini (see photo), counsels Alessandro Pilarski and Daniele Pilla, senior associate Edoardo De Carlo and associates Silvana De Lauretis and Federica Milazzo assisted Gamenet in today's closing on the acquisition of 100% of GoldBet's capital, for a consideration of 273 million euros. Giuliano Foglia and Matteo Carfagnini of Studio Foglia & Partners assisted Gamenet on tax issues. Attorneys Andrea Lensi Orlandi and Daniele Landi, with Mr. Angelo Conte, who is an expert in tax law, for Studio PwC TLS’s Rome based M&A team and Professor Augusto Dossena and attorney Giulio Marinelli for Studio SLVB, have jointly assisted the Seller. Messrs. Kevin Tempestini and William De Ascaniis of KT & Partners acted as financial advisors for the Seller, the PwC Transaction Services team and Studio PwC TLS took care of the vendor due diligence. The closing process has been completed after certain condition precedents had been fulfilled, including the clearance of the Antitrust Authority and the Monopolies Agency. Gamenet and Goldbet, both leading players in the public gaming sector, thus create the first Italian operator in the collection of sport bets. In his presentation, on 8 October, Mr Caiazzo, after a short analisys of the remedies deployed in the most relevant cases before the Italian Competition Authority (ICA), the European Commission and in the US, he focused on the approach adopted in the actual context, characterized by the rapidity of the technological innovation. In addition to Mr Caiazzo (former Officer of the Antitrust Section), the other speakers were Gabriella Muscolo (Italian Competition Authority, Rome), Nicolas Banasevic (European Commission, Brussels), Peter Steyn (Werksmans Attorneys, Johannersburg, Vice Chair African Regional forum. The session was chaired byThomas Janssens (Freshfields Bruckhaus Deringer, Brussels, Senior Vice Chair Antitrust Section) and moderated by Samantha Mobley (Baker&McKenzie, London, Vice President Antitrust Section). Caiazzo Donnini Pappalardo, with a team made up by counsel Alessandro Pilarski (in the picture), associate Silvana De Lauretis, together with partner Roberto Donnini, assisted Lutech SpA, the company leading the Italian investments of private equity fund One Equity Partners in the IT industry, with the acquisition of the entire corporate capital of CDM Tecnoconsulting SpA, Pivotal Srl and Cimworks SL (a Spanish company). The Sellers have been assisted by AvvocatidiImpresa, with a team made up by partner Alberto Calvi di Coenzo and junior partner Rosanna Frischetto. Leonardo Adamo, of the law firm Garrigues, for Lutech, and Nerea Castell Larralde, of the law firm J&M, for the sellers, followed for the Spanish law aspects. CDM is active in the ICT (Information and Communication Technology) industry, mainly in the manufactory industry and in Product Lifecycle Management (PLM), IoT, ERP solutions. the company leading the Italian investments of private equity fund One Equity Partners in the IT industry, with the acquisition of the entire corporate capital of ICTeam SpA. The Sellers have been assisted by Pavia e Ansaldo, with a team composed by Francesco Manara and Paola Carlotti for M&A corporate and contractual aspects, Enrico Banchero for labour law aspects, Federico Cavazza for real estate matters, supported by Fabrizio Smiroldo. Marco Lanza e Laura Braga, Biscozzi Nobili firm, assisted the Sellers with the financial and fiscal aspects of the transaction. ICTeam is active in the ICT (Information and Communication Technology) industry, mainly in “Big Data” and “Business Intelligence” (data analysis) areas. in two tranches, and wit COC Farmaceutici, in two lines and 4 tranches, for an overall amount of Euro 26,500,000.00. Lameplast and COC Farmaceutici, controlled by Aksìa Capital IV fund, managed by Aksìa Group SGR, are active in the primary packaging and in the manufacturing, filling and packaging of pharmaceutical products and medical devices mainly for ophthalmology. Lampelast and COC Farmaceutici have been assisted by Studio Accinni Cartolano e Associati, with Francesco Cartolano and Matteo Acerbi. Caiazzo Donnini Pappalardo & Associati and Foglia & Partners assisted Gamenet Group, a company listed on the STAR segment of the Mercato Telematico Azionario organized and managed by Borsa italiana S.p.A., in the acquisition of 100% of the share capital of Goldbet, an authorized gaming and betting company in Italy, by it subsidiary Gamenet S.p.A. The value of the acquisition is Euro 265 million (enterprise value). CDP e Associati followed the civil and corporate law aspects of the transaction with a team consisting of partner Roberto Donnini (in the picture), counsel Alessandro Pilarski and associates Edoardo De Carlo, Silvana De Lauretis and Federica Milazzo. Foglia & Partners dealt with the financing and tax aspects of the acquisition with a team consisting of partners Giuliano Foglia and Matteo Carfagnini, assisted by associates Marco Poziello and Francesco Capogrossi. formed by Banca IFIS, which acted as arranger and agent bank as well, BNL Gruppo BNP Paribas, Banca Popolare di Milano and Crédit Agricole Italia and Bianalisi S.p.A., an Italian company, active in the clinical analysis services and specialist diagnostic centers, in a structured facility transaction, in three tranches, for an overall amount of Euro 35,000,000.00. Giulio Tognazzi (in the picture), partner, has lead the team of Caiazzo Donnini Pappalardo & Associati, while Alessandro Accrocca, of counsel, together with Giacomo Bellavia, associate and Serena Mussoni, trainee, has lead the team of Orrick. 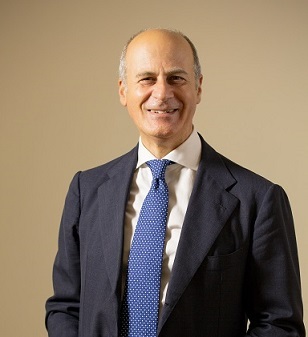 Rino Caiazzo (in the picture), assisted by Daniele Pilla and Enrico Di Tomaso, together with Emanuele Cusa of Macchi di Cellere Gangemi, have advised Cassa Centrale Raiffeisen dell’Alto Adige S.p.A. in the filing with the Italian Competition Authority (AGCM) of the concentration consisting in the creation of the banking group named Gruppo Bancario Cooperativo delle Casse Raiffeisen (Gruppo Raiffeisen). This is the first transaction following the reform of the cooperative banks enacted in 2016 and, as such, required a complex and challenging analysis. Following the notification, the AGCM resolved to start an in-depth investigation alleging that on some markets Gruppo Raiffeisen might have held a dominant position potentially harmful for competition, due to the resulting overall high market shares in the territory of the province of Bolzano, divided in catchment areas identified on the basis of a maximum travelling time of 30 minutes. However, at the end of a long investigation and following a Statement of Objections and a final hearing on the case, the AGCM unconditionally cleared the concentration, in light of the peculiar structure and functions of the banks involved and of the context in which they operate, as well as of the rationalizations and efficiencies for the consumers that will likely result from the transaction. dell’Economia a sostegno degli investimenti nell’innovazione (Italian risk sharing initiative), destinata a finanziare i progetti in ricerca, sviluppo e innovazione. Giulio Tognazzi (in the picture), partner of Caiazzo Donnini Pappalardo & Associati, has assisted the European Investments Bank (EIB) in relation to a financing of Euro 37.000.000,00 to Marposs S.p.A., worldwide leader in the furniture of precision instruments for the measurement and control in the production environment. The financing falls within a combined initiative among EIB, the Ministry of the Economic Development and the Ministry of Economics, in order to sustain investments in the innovation (Italian risk sharing initiative), intended to finance research, development and innovation projects. Giulio Tognazzi (picture on the left), partner of Caiazzo Donnini Pappalardo & Associati), has assisted Banca del Mezzogiorno - MedioCredito Centrale in the negotiation of an Operational Agreement of Euro 62.000.000,00 with the Europen Bank of Investments (EIB) for the management of loans under a fund of funds, that will finance, within the Italian PON R&I, high-technology content research projects in the southern part of Italy to strengthen the competitiveness in such area. The European Bank of Investments has been assisted by Matteo Gotti (picture on the right), partner of Gianni Origon, Grippo, Cappelli & Partners, helped by Raffaele Tronci, counsel, and Alessandro Garelli, associate. Prof. Federico Tedeschini, assisted by Grazia Gaspari, and Rino Caiazzo (in the picture), assisted by Enrico Di Tomaso, the latters of the law firm Caiazzo Donnini Pappalardo & Associati, have successfully defended before the State Council (Consiglio di Stato) Gala Spa (and Rino Caiazzo also AIGET - Associazione Italiana di Grossisti di Energia e Trader) in the case of the appeals filed by the energy regulator, Autorità per l’energia elettrica, il gas e il sistema idrico (AEEGSI) and e-distribuzione Spa against the judgments issued by Tar Lombardia last January whereby the AEEGSI Resolution 268/2015/R/eel concerning the “Codice di rete tipo per il servizio di trasporto dell’energia elettrica: disposizioni in merito alle garanzie contrattuali ed alla fatturazione del servizio” (rules on the electricity transportation service) had been partially annulled. The State Council has rejected the appeals and confirmed the annulment of the Resolution with regard to the obligation of the traders to provide guarantees to the distributors also for the payment of the so called “oneri di sistema” (levies utilized by the State for interventions of public interest), even in case of non payment by the final client, since such levies bear upon the final clients in respect to their energy consumptions, by adding that AEEGSI does not have the power to intervene in the contracts between traders and distributors as to obligations and levies that the law charges upon third parties ((therefore out of the scope and subject matter of the electricity transportation contracts). The State Council has expressly mentioned that the relationships between distributors/traders/final clients is subject also to European rules (Directive 72/2009) and that the different status established by the annulled Resolution created a vulnus to the competitive capacity of the traders (citing to this purpose the related communication of the Italian Antitrust Authority of 21 July 2017). Arranger and Agent, Credit Agricole Carispezia, Banco di Sardegna, Banca del Mezzogiorno – Mediocredito Centrale, Banco BPM and UBI Banca in the drafting and negotiation of a structured credit granting transaction for Euro 50,000,000.00 in favour of HB Trading, an Italian company, active in the gas and electricity sectors. The contract is structured in three facilities: of which two loan facilities in Euro and one credit facility multicurrency (Euro and USD).